A 21-year-old man got separated from his climbing partner after a dispute Saturday on how to descend from the Capitol Peak and later fell 600 to 700 feet to his death, Pitkin County authorities said Sunday night in a news release. The man’s dead makes it the fifth fatality of the summer on the 14,131-foot mountain. Deputy Anthony Todaro said the department received a call Sunday morning from Brandon Wilhelm of Pine who said he and his friend hit the summit about 3 p.m. Saturday. On the descent they became separated at the “Knife Edge” section when they argued about the route. Mountain Rescue Aspen mobilized a field team as well as air resources from Flight for Life in Summit County, Todaro reported. Just after noon Sunday a foot team deployed from the helicopter made contact with an unconscious, unresponsive male subject. The climber’s body was returned to the airport by rescue teams by 8:30 p.m. Sunday. Release of his name is pending notification of his family. In the news release, the Sheriff’s Office stressed the importance of being prepared. 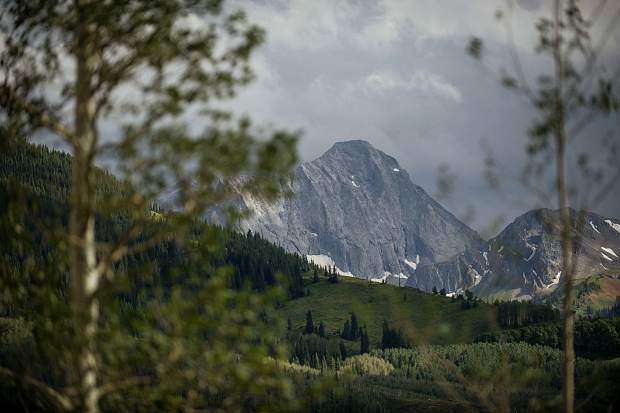 The man died in the same place an Aspen couple fell to their deaths a week ago; the bodies of Ryan Marcil, 26, and Carlin Brightwell, 27, were recovered Aug. 22. Memorial services for the couple were held this weekend in Aspen. Two other people died on Capitol Peak earlier this summer in separate incidents. Jake Lord, 25, fell nearly 300 feet on July 15, and Jeremy Shull died Aug. 6 after falling from the Knife Edge area; both men were from Parker. Since 2003, nine people have died climbing the fourteener.